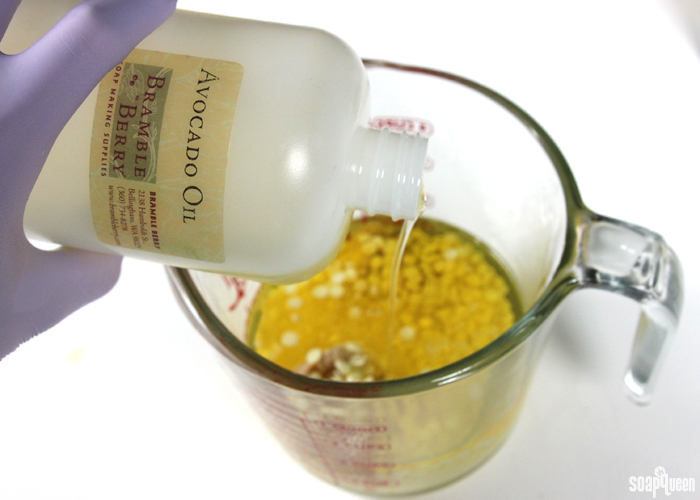 ONE: In a small heat safe container, add the white beeswax, coffee butter, cocoa butter, jojoba oil and avocado oil. 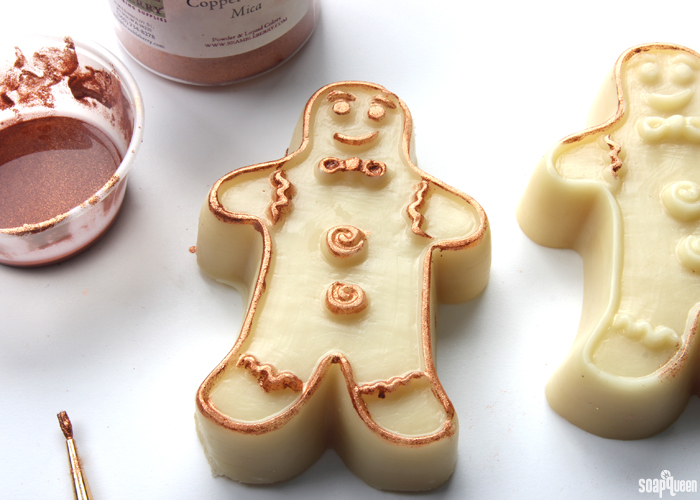 Place in the microwave and melt using 1 minute bursts until all the oils, butter and wax is completely melted. Be very careful when removing the container; it may be extra hot. TWO: Measure out the Cinnamon Sugar Fragrance Oil and add to the melted mixture. 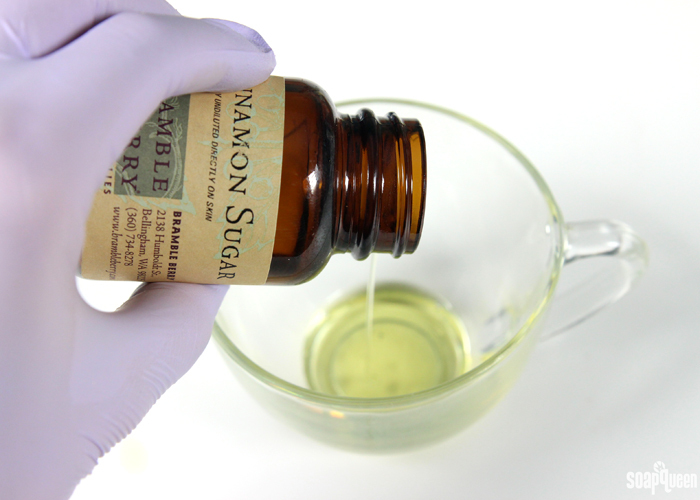 Use a spoon to thoroughly mix in the fragrance oil. THREE: If the mixture is extremely hot (over 140° F), stir the mixture until it cools. 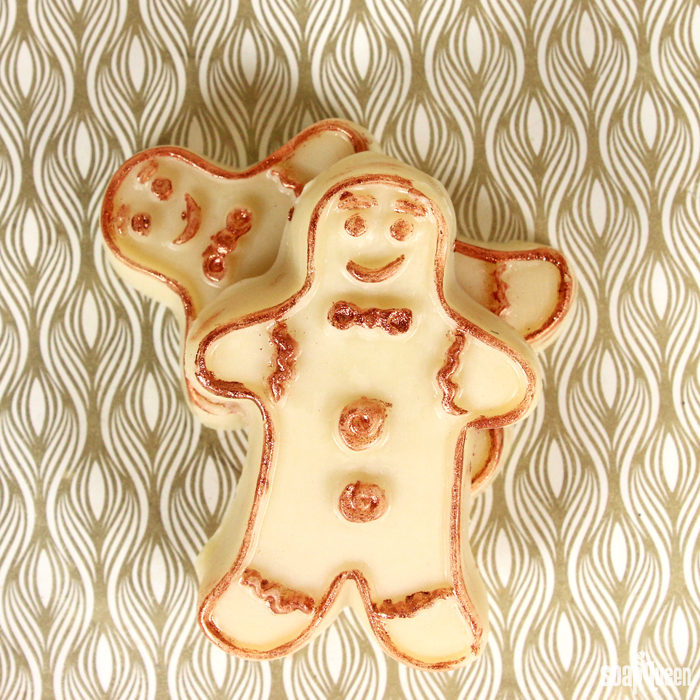 If you pour the mixture into the mold while it’s super hot, it may warp the mold. 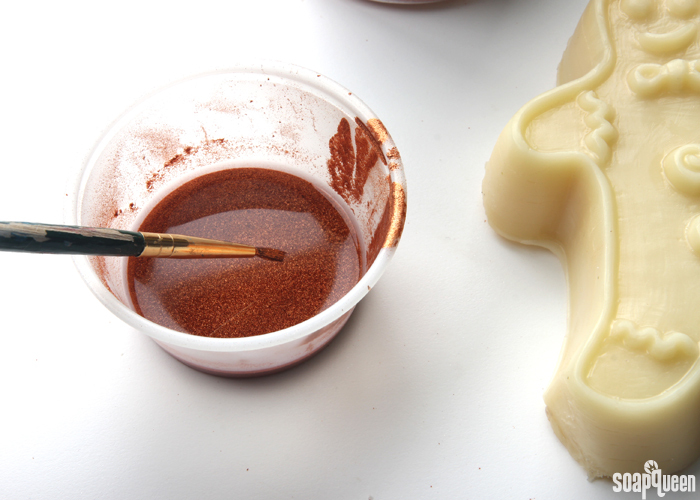 Once it has cooled to below 140° F, carefully pour the mixture into the molds and allow to thoroughly cool and harden. This can take several hours, so be patient. 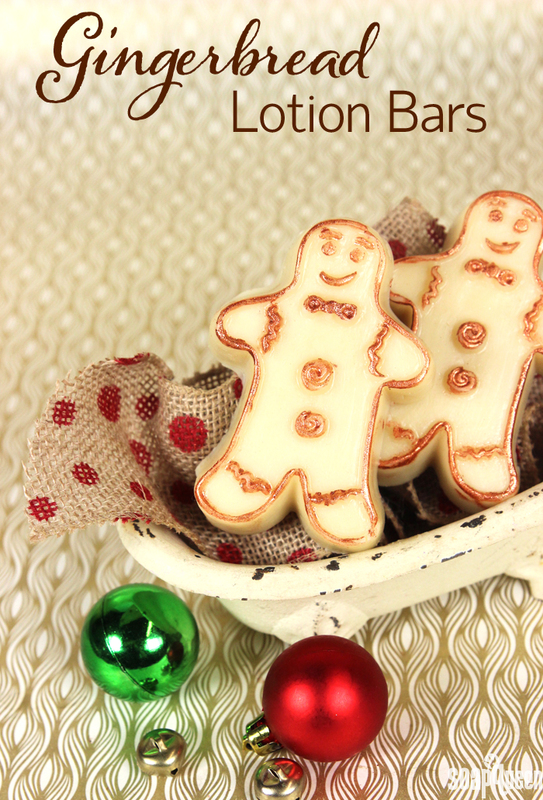 =) You can put these in the fridge to help them harden up extra quickly. FOUR: Once the bars have completely cooled, remove them from the mold by pulling on the sides of the mold to release the airlock. Then, firmly press the back of each cavity with your thumb or the palm of your hand until the bars pop out. Next, mix 1/2 tsp. Copper Sparkle Mica into 1/2 Tbs. rubbing alcohol. Stir to get rid of any clumps. 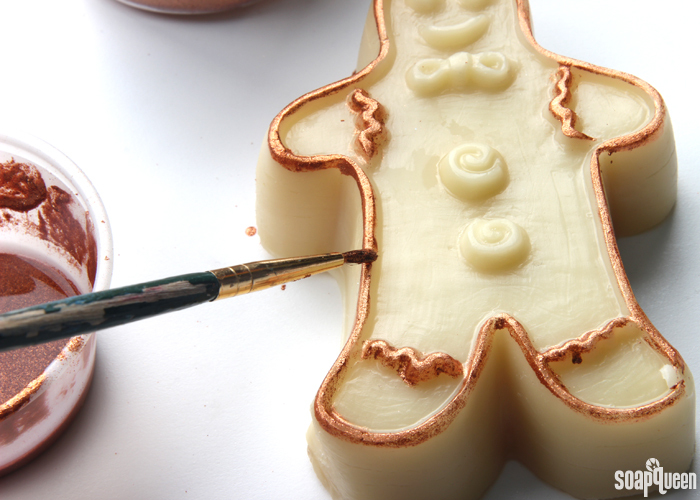 FIVE: Use a small paintbrush to paint the details of the gingerbread man mold with the mica mixture. Allow the mica details to completely dry. Once you’ve painted all the details, the bars are ready to use! For the first couple uses, the mica will leave a soft shimmer on the skin. 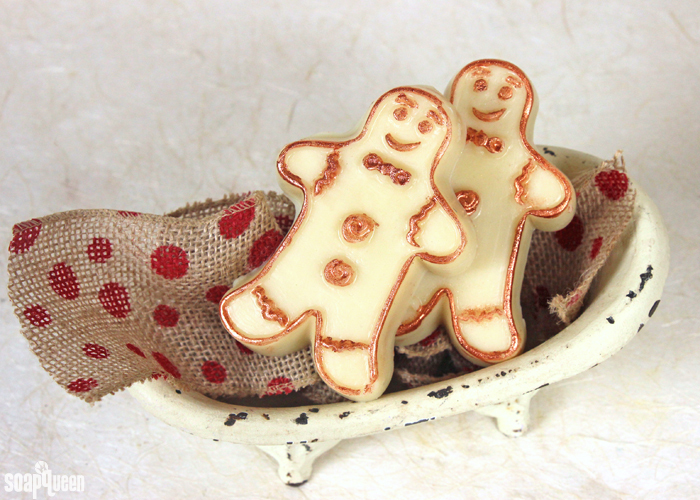 Store these bars in a cool place, because they can melt in higher temperatures!